High-Efficiency Video Coding (HEVC) was developed to improve its predecessor standard, H264/AVC, by doubling its compression efficiency. As in previous standards, Motion Estimation (ME) is one of the encoder critical blocks to achieve significant compression gains. 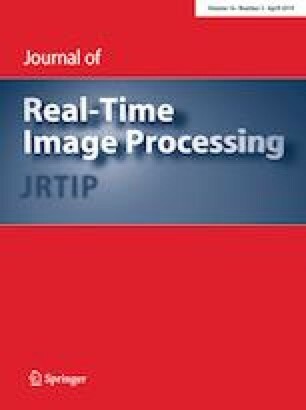 However, it demands an overwhelming complexity cost to accurately remove video temporal redundancy, especially when encoding very high-resolution video sequences. To reduce the overall video encoding time, we propose the implementation of the HEVC ME block in hardware. The proposed architecture is based on (a) a new memory scan order, and (b) a new adder tree structure, which supports asymmetric partitioning modes in a fast and efficient way. The proposed system has been designed in VHDL (VHSIC Hardware Description Language), synthesized and implemented by means of the Xilinx FPGA, Virtex-7 XC7VX550T-3FFG1158. Our design achieves encoding frame rates up to 116 and 30 fps at 2 and 4K video formats, respectively. This research was supported by the Spanish Ministry of Economy and Competitiveness under Grant TIN2015-66972-C5-4-R.